Every airplane crash spurs a hue and cry over the tragedy—and questions about how it could have happened. Yet the thousands of deaths that occur yearly because of medical errors pose a problem that receives far less attention. 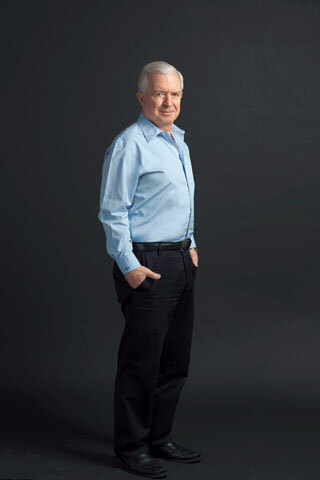 John Nance argues that the same basic steps that have made the skies much safer during the past few decades could prevent thousands of hospital deaths. Since 1964, Nance has clocked more than 13,000 hours flying commercial and Air Force jets. When the medical director of a health insurance company read Nance’s 1986 book about human-driven aviation errors, he noticed the parallels with challenges at U.S. hospitals and called on Nance for help. By 1997, Nance was a founding member of the National Patient Safety Foundation. His book Why Hospitals Should Fly depicts a fictional Denver hospital, St. Michael’s, to demonstrate how principles pioneered in the airline industry can be adapted to every aspect of a hospital, including the operating room, with salubrious results. The keys: following checklists, conducting presurgical “time-outs,” reading back medication orders and working in respectful teams rather than dictatorial hierarchies—ideas that have since become the subject of two books by physicians. Q: Has the airline industry been more proactive than hospitals when it comes to improving safety? A: It had to be: Thousands of passengers were dying in accidents. As the mechanical side became better and better, all that was left was human failure. Humans are always going to make mistakes. Q:The changes the industry made seem astoundingly simple. A: They were. For example, pilots sometimes started on the wrong runway, an error that they typically caught immediately, before it became lethal. But now no takeoff can begin without a cross-check: One pilot reads off the name of the runway, and the other confirms the compass direction. Q: What’s the lesson for hospitals? A: In hospitals, communication is garbled: Medical orders are snapped back and forth and are not read back by the doctor or nurse. In a cockpit, by contrast, pilots routinely repeat the instructions from air traffic control. A: Repeating instructions engages both minds to make sure the information being conveyed is correct. I have a friend, an orthopedic surgeon, who says he never understood the importance of reading back until a few months ago. He was standing at a nurse’s station as a nurse was calling in an order for a pizza. She started to hang up the phone, then pulled it back to her ear because the guy was reading back her order. A few seconds later, the phone rang. It was a physician calling with an urgent medication order. She took the order, wrote it down and said, “Okay, Doc,” then click. No read back. Q: What’s another key way to improve communication? A: Surgical teams should carry out the equivalent of an airline pilot’s predeparture checklist, which includes checking the flight instruments and the positioning of the airplane’s flaps, among other details. Clinicians need to make sure they have the right patient, the right operation, the right expertise and the right tools. Such procedures would virtually end surgeries performed on the wrong body part. Q: You note, though, that physicians resist these presurgical time-outs. A: Sometimes a surgeon comes breezing into the operating room and doesn’t want to talk to anybody. He just wants to make an incision. In the average hospital, physicians have been trained to think they are omnipotent and infallible. A physician can be perfect for a time: maybe 36 years, or 36 minutes. But sooner or later, every physician will make a mistake. So we have to ask, How do we minimize the possibility of human error? In aviation we do it by working in teams, rather than making one person Captain Kirk—a person everyone follows and no one challenges. Q: It seems physicians are beginning to listen. Surgeon and author Atul Gawande’s recent book, The Checklist Manifesto, is a call for patient safety that’s much like yours. A: The journey of a physician—particularly a surgeon—from total and absolute personal autonomy to admitting that he or she cannot achieve adequate safety levels alone and without such unfamiliar tools as checklists is a torturous trek into reality. Atul has just provided immense assistance to his entire cadre of colleagues in making that journey; the immediate need for physicians to do so cannot be overstated. As Elliott Fisher of the Dartmouth Atlas Project has discovered, more money does not always mean better health care.